For over 20 years, Mr. Saito has guided some of the world’s largest corporations through their toughest problems. A partner and practice-group leader at prominent Wall Street law firms prior to founding the Firm, Mr. Saito serves regularly as lead counsel for large businesses faced with major corporate scandals and complex commercial disputes. A skilled advocate and trusted adviser, Mr. Saito has lead the defense of major financial institutions and large accounting firms in some of the largest financial and accounting scandals in the last two decades. 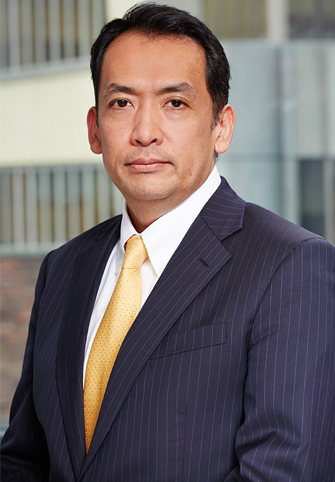 Mr. Saito’s most recent cases include white-collar criminal and civil litigation matters representing major banks and their senior executives (some subject of national press coverage), a white-collar criminal defense matter involving FCPA and kick-back allegation against a major medical device manufacturer (settled with federal authorities for over $600 million), and a white-collar criminal defense matter involving allegations of OFAC violation and money laundering connected to the US-Iran nuclear deal and President Obama’s pardoning of several defendants (subject of intense press coverage). Mr. Saito’s clients include some of the world’s largest banks, investment banks, major accounting firms, multinational trading firms, and large manufacturers in various industries such as chemical, pharmaceutical, medical device and automotive. Some of the world’s largest law firms also call on him to represent their clients on special engagements. Representation of major financial institutions including major banks in regulatory enforcement matters. Representation of senior executives including a CEO of major financial institutions in white-collar criminal investigation. Representation of a Chairman/founder of major automotive parts manufacturer in a regulatory enforcement matter. Representation of major multinational trading firms in FCPA investigation. Representation of a major medical device manufacturer in FCPA and kickback investigation. Representation of senior corporate executives in federal white-collar criminal investigations. Representation of international trading firm in connection with federal prosecution arising out of alleged US trade regulation and OFAC violation and money laundering. Representation of a major accounting firm in a series of major regulatory enforcement actions. Representation of major banks in lenders’ liability litigation. Representation of large accounting firms in major securities class actions. Representation of a major automotive manufacturer in product liability lawsuits. Representation of major multinational companies in various contractual and product liability litigations and disputes. Representation of a major retailer in complex bankruptcy litigation and arbitration. Representative of a major chemical manufacturer in product liability litigation. Representation of a heavy equipment manufacturer in major product liability litigation and arbitration. Representation of a major brokerage house in various securities litigations. Representation of an office supply manufacturer in litigation concerning termination of an international distributor. Representation of a major real estate company in a series of major leasing litigation. Representation of a major chemical manufacturer in commercial litigation and bankruptcy proceedings. Representation of major multinational companies in employment discrimination disputes. Representation of a major airline in a series of lawsuits. Representation of a major bank in bankruptcy litigation. Representation of major pharmaceutical companies in various commercial disputes. Representation of a nation’s all authors and publishers in connection with a world-wide class action involving a major internet search engine. Representation of a major machine manufacturer in patent litigation. Representation of a major brokerage house in trade secret and competitive tort litigation. Representation of foreign multinationals in trade secret and competitive tort litigation. Representation of a major food manufacturer in trademark litigation. Representation of a major retailer in trademark litigation. Representation of a major foreign bank in connection with its NYSE listing. Representation of a major asset management firm in SEC and CFTC registration. Representation of two Big 4 accounting firms in PCAOB registration. Counseling major financial institutions and multinationals concerning various federal and state regulations such as Sarbanes-Oxley and Dodd-Frank Acts. Counseling major multinationals on assessing and reducing securities, antitrust, and product liability risks. Counseling major financial institutions and multinationals in compliance issues. Representation as a lead counsel of a major air-conditioning manufacturer in a multi-billion dollar M&A transaction. Representation as a lead counsel of a major high-tech manufacturer in acquisition of a mid-sized public company. Representation of a foreign medical device manufacturer in acquisition of a US medical device manufacturer. Representation of a major accounting firm in major restructuring of their business. Representation of multinationals, banks and governmental entities in restructuring and asset disposition. Representation of major financial institutions and multinationals in compliance overhaul.